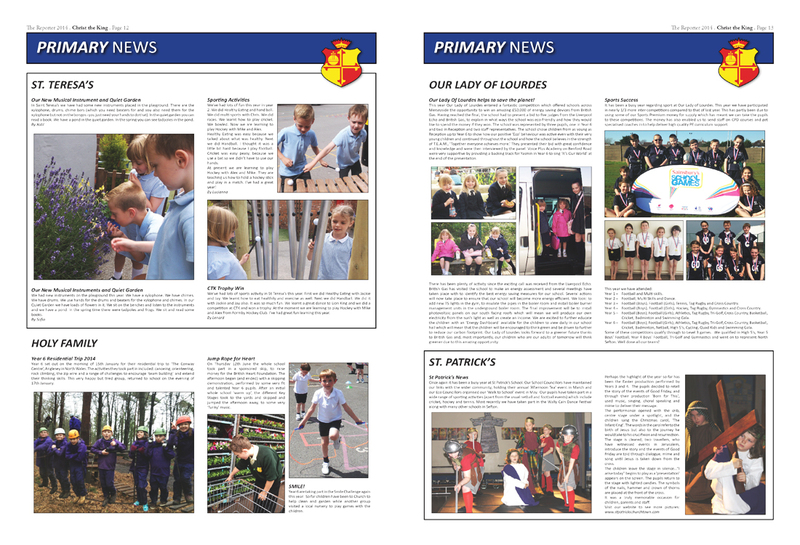 After several years of trialling different graphic design companies, Christ the King asked me to come up with a fitting layout for their school newspaper. 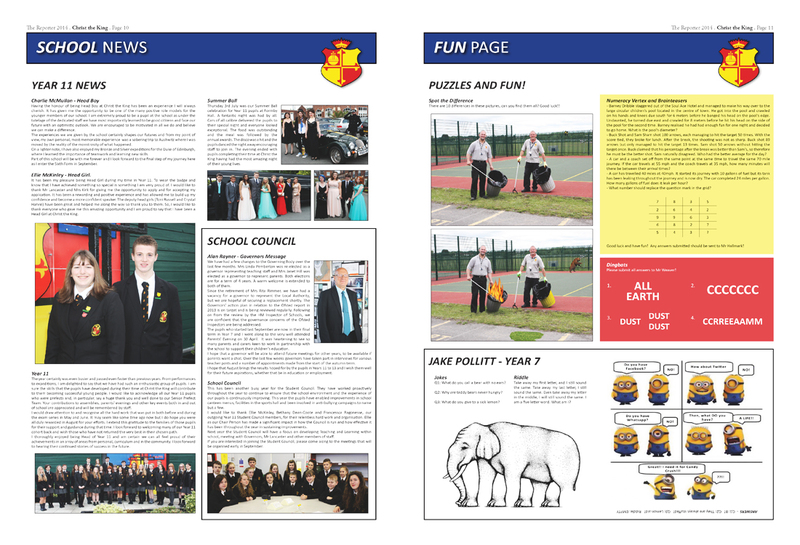 I knew that it was produced annually and had over 1000 readers, including pupils and parents. 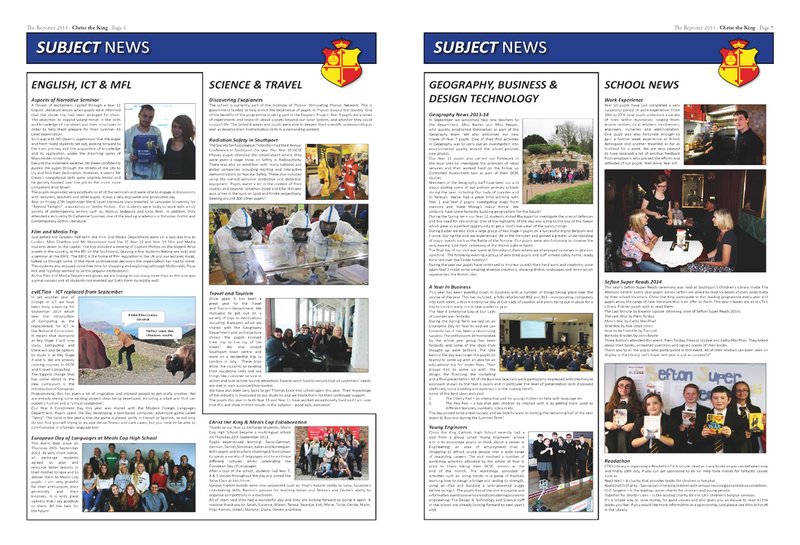 I learnt to work within a small time frame but more importantly learnt how to deal with a client, who, was delighted with the final result. 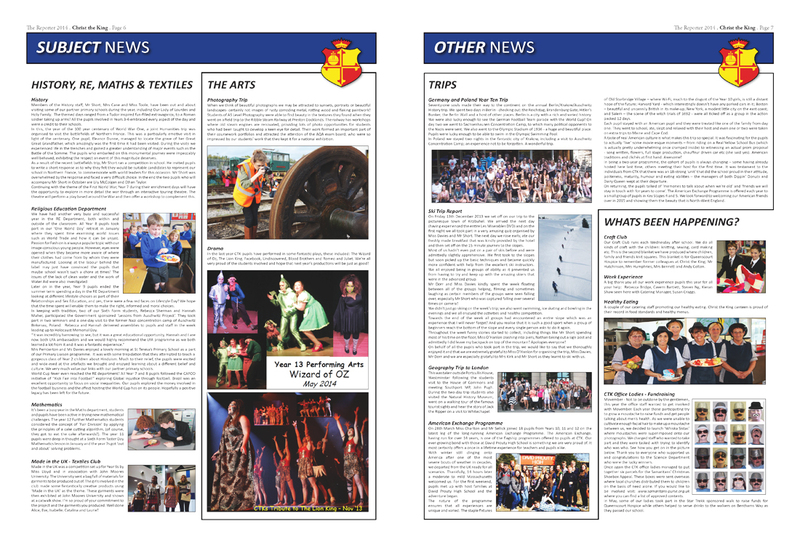 – All pages must be printed in colour, this was in sharp contrast to daily newspapers who print only the most important information (and adverts) in full colour. 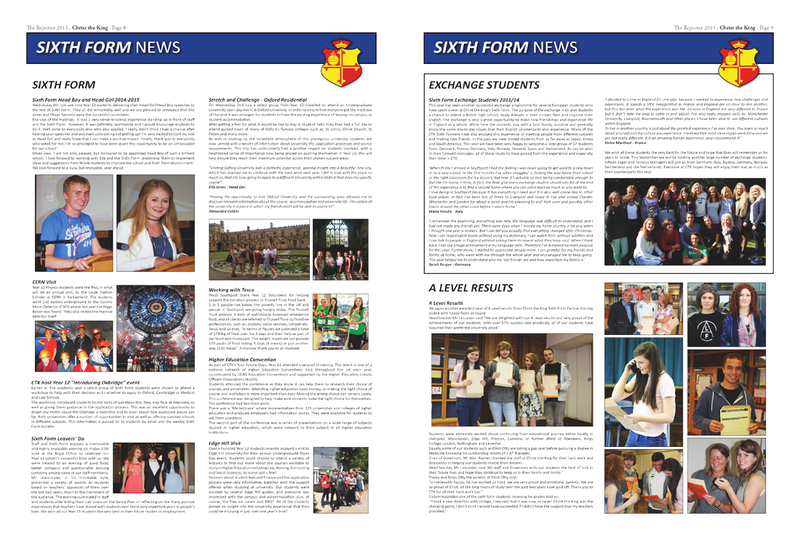 – All information must be within a sixteen page limit, this lowers costs for the school but makes it harder to highlight important news when pages may otherwise seem cramped. 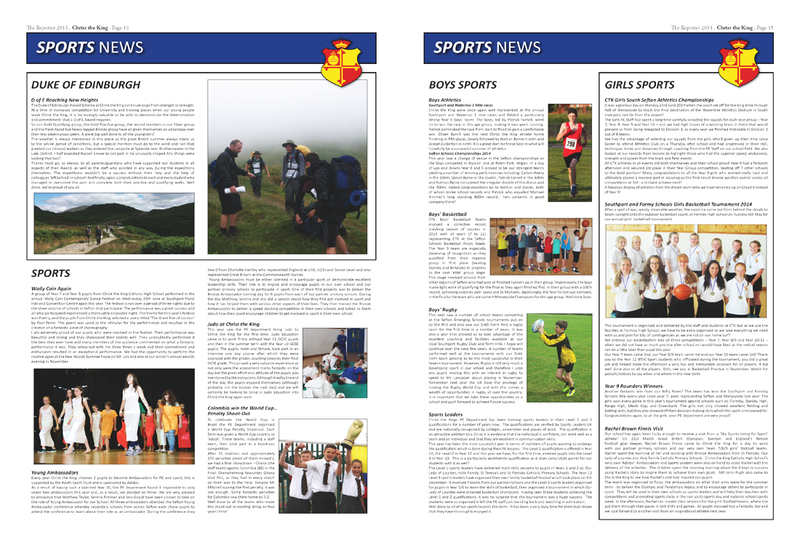 – The school identity must not be changed, this seems obvious but it required me to look at existing print and even letterheads that the school used. 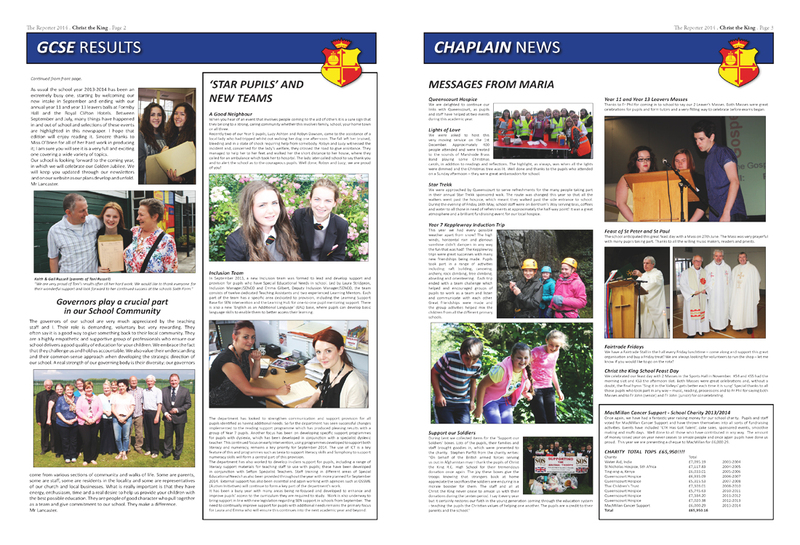 I worked with a graphic designer to co-ordinate the printing of the final document and had to adapt the InDesign file so that it could be used at the printing office. 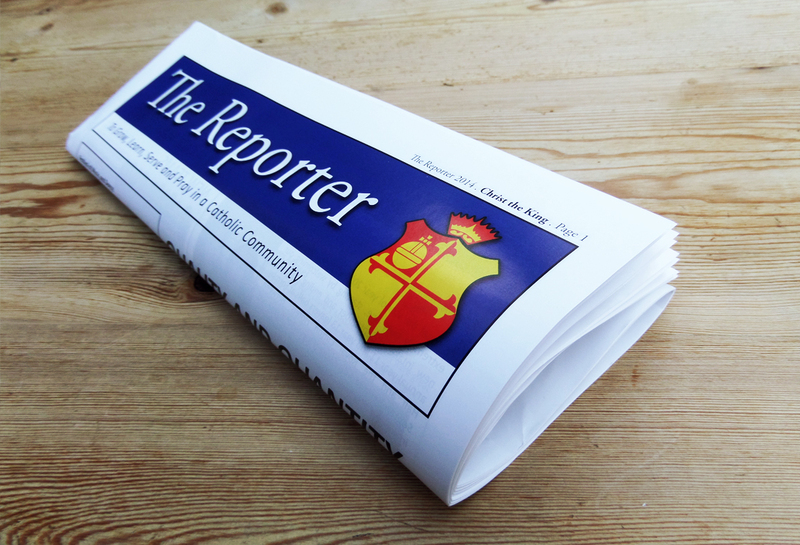 There have been three editions of ‘The Reporter’ designed by myself so far, I hope to continue working with Christ the King and find their attitude in allowing me to make design decisions refreshing. 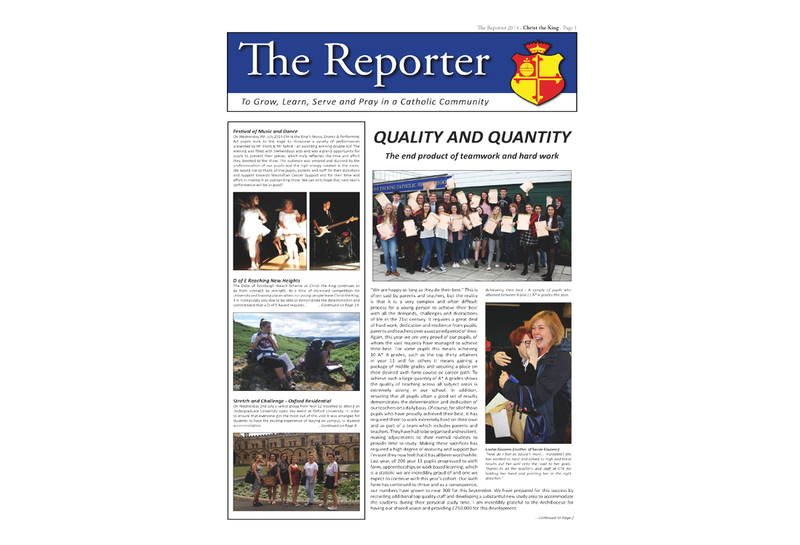 2014 Reporter Edition shown here.